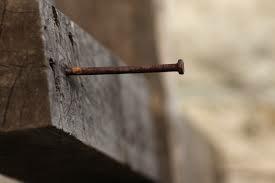 The crucifixion of Christ, the sacrifice of a perfect life, gives us greater confidence than any other event in history. The cross lets us shed any self-doubt, all of our shame, every feeling of inadequacy. The cross gives us confidence in ourselves that could never be achieved through the fleeting accomplishments of our lives. But while the death of Christ gives us confidence, the resurrection gives us hope. Without the resurrection we’d have confidence in our salvation, but many would have doubts about where that confidence would lead us. But the resurrection, the resurrection gives us hope for the future. Knowing that Christ conquered death lets us know that we will too. The resurrection assures us that the trials and pain of this life are only temporary. It lets us endure this life as pilgrims, with hope for a better future. Confidence in the present and hope for the future are two different things. There’s nothing wrong with either alone….But together, together they’re unstoppable.